Nature’s Blend, Dr. Marty’s Premium Freeze-Dried Dog Food, is a nutrition-packed formula designed to give your dog a healthier, happier life. We blend a variety of meats, fish, ranch-raised beef and duck, and other protein sources with fruits and vegetables for the balanced, complete nutrition your dog needs. We receive all our ingredients fresh, then gently freeze dry them so they’re bursting with flavor and nutrition. Nature’s Blend is all-natural and free of chemicals and fillers. All ingredients in Nature’s Blend dog food are freeze-dried to deliver optimal nutrition to your dog… and save you money on shipping. Nature’s Blend contains: Turkey, Beef, Salmon, Duck, Flax, Beef Liver, Turkey Hearts, Turkey Liver, Sweet Potato, Eggs, Pea Flour, Carrots, Apples, Blueberries, Cranberries, Pumpkin Seeds, Spinach, Ginger, Salt, Mixed Tocopherols. We work hard to formulate the most advanced, all-natural products on the market — which is why every purchase is backed by our Your Dog Is Healthier Or It’s Free, Guarantee! If you don’t see noticeable improvements in your dog’s health and happiness, just let us know. You can send back the unused portion, any time within 90 days — and we’ll refund 100% of your purchase price. Does each breed need a different dog food? They do not! I designed the formula for Nature’s Blend to be the best overall diet for dogs of any breed, and in any health condition. The nutrient profile contains every ingredient your dog’s body needs to live its longest, healthiest life possible. Why is this formula freeze-dried? 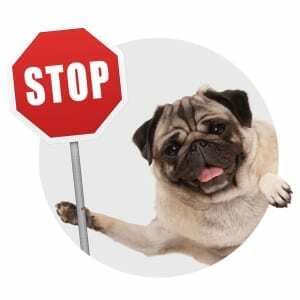 Most dog food companies cook their food extensively — which strips it of all the nutritional value. 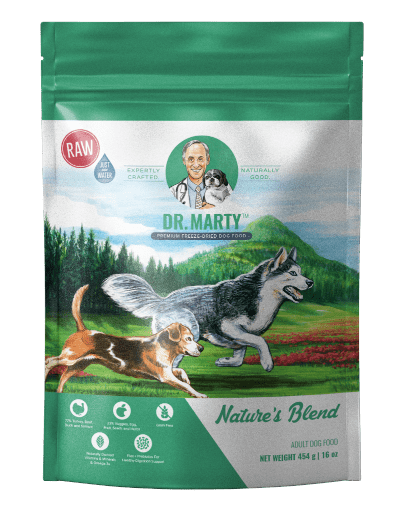 Dr. Marty Nature’s Blend is designed to mimic what your dog would eat in the wild — while also ensuring your dog gets the maximum nutritional content from every meal. How do I prepare Dr. Marty Nature’s Blend? 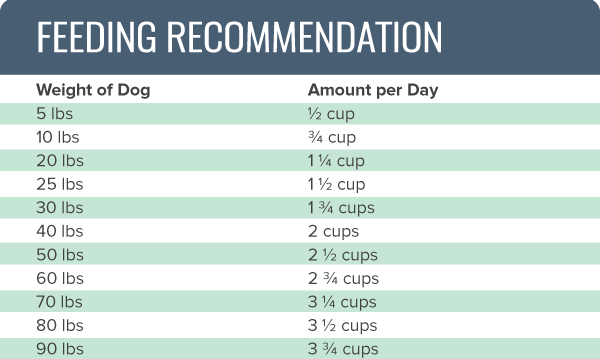 It’s easy to prepare — simply combine the recommended amount of Nature’s Blend for your dog’s weight, with the recommended amount of water. Three minutes later, the food is ready to eat! What is the complete ingredient list for Nature’s Blend? Turkey, Beef, Salmon, Duck, Flax, Beef Liver, Turkey Hearts, Turkey Liver, Sweet Potato, Eggs, Pea Flour, Carrots, Apples, Blueberries, Cranberries, Pumpkin Seeds, Spinach, Ginger, Salt, Mixed Tocopherols. What if Nature’s Blend doesn’t work for my dog? Is there a guarantee? Absolutely. As a veterinarian, I take canine nutrition very seriously — and I’m honored that you trusted me with your dog’s diet. However, if you and your veterinarian don’t see a noticeable improvement in your dog’s health and happiness, please let me know. 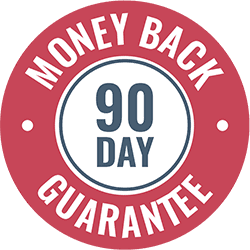 You can send back the unused portion of Nature’s Blend, any time within 90 days, and I’ll return your money, no questions asked — guaranteed. My 1 year pit no longer walks away from his bowl unless it’s empty. He devours every bit of his food. Worth every penny. My 3 dogs love it and keeps them very healthy. I have been feeding my dogs my own version of a RAW food diet for over 10 years, after extensive research and recommendations from vets and breeders.  I use Dr. Marty’s as a substitute when dog sitters feed the dogs while we are away and we use it when we travel with the RV and take the dogs come with us. Dr. Marty’s is a nutritional, easy and trouble free way to travel with pets and keep up with the RAW food diet. It is too expensive for us to feed 3 – 50lb dogs a daily diet of Dr. Marty’s at home, but we would if we could. I am very happy with this dog food, she is happier and her skin is clearing up. I feel better about her having a food without all the ingredients that are not good for her. My two Jack Russell’s love this food. They can’t wait to eat. I have a 2 year old GSD who is very picky about what she will eat. So far, she seems to like Dr. Marty’s Nature Blend and eats every morsel and continues to lick the bowl clean hoping I will put another scoop in for her! 5 out of 5 My Buddy loved it! I was very pleased at the way he gobbled it all up. He’s also having much better bowel movements. Thank you so much! 5 out of 5 Old-Timer Behaving Like A Pup ... Incredible!! My 15-year old toy fox terrier loves his new food. No hesitation at all – and he’s the pickiest of eaters. Thank you Dr. Marty! Dietz is my 11 year old Pomeranian. He had become a very sick boy. Could not digest his dry dog food. I tried many different brand. Top rated and Holistic dog foods. I cooked for him. Yet nothing helped. Was on line and came across DR. Marty’s commercial. The food was to me very expensive. I am on social security. But I had to do something. So I got 3 bags and after one feeding he was able to hold his food down. He loved it. Deitz became a different dog. He Was happy!! I have noticed his coat is healthier and his doggy breath much better. It has made a huge difference in both our lives. I have my old Deitz back again. I want to thank DR Marty. I am so please with this food. 5 out of 5 Buffi and Bindi are hooked on it. Buffi is an 11 year old Maltese with diabetes. She is much more lively since she has been on her new food, and her glucose curve is finally exactly the way it should be. Bindi is a 5 month old Maltese/Pomeranian mix who can’t eat puppy food because it is too rich for her. Dr. Marty’s Natural is allowing her to grow into a very healthy dog. Both of my dogs were picky eaters in the past. Now they can’t wait to get their meals! Ricky, my 5 year old American Cocker, loves this food and I like the fact that she is getting good nutrition but with the water she is getting additional hydration. We are on a cross country camping trip and the one pound bags are easy to store and carry additional supplies. She almost begs for it when I get her bowl out and she hears me mixing it. It is proving to be really good. It was a very good product both of my dogs loved the food and could not wait for the food to get done while I was adding water to it. My Boston terrier loves the food and it seems to have eased up on his gasy problem. Thanks a lot. Missy would not eat regular dog food. She would eat only chicken cut in to small bites. She had diarrhea for years and doctors could not stop it. The first time I put Dr. Marty’s food down she ate like she was starved, perhaps she was, she cleaned the bowl. The next day her stool was firm and normal for the first time in years ! I can not say enough about Nature’s Blend. 5 out of 5 Armani and Beber Approve! I it’s great for my dogs. In fact, when I first mixed it for them to get used to it, they separated the old food from the new. 5 out of 5 Wow! Wow, I”m amazed! Our 2 year old Shih Tzu is a very picky eater. I was buying “high end, healthy” kibble, but he would smell it and walk away. After listening to Dr. Marty’s video, I decided to give Natures Blend a try. Charlie loves it. He barks at the counter while it’s absorbing the water, and when it’s ready, he eats every morsel. So far Charlie is a very happy and healthy boy, showing no signs of allergies. Without ingesting the typical by-products, grains and other fillers in kibble, my goal is to keep him that way. Thanks Dr. Marty for developing Natures Blend. This is obviously a very special treat for dogs. Before feeding my dog anything I let her smell it so she can use all her senses and fully enjoy her meal. After her sniff she was sitting extremely attentive waiting for her bowl, she eats the entire serving in one sitting and shows me she loved it. Her BMs are easier for her and are better formed. Many thanks for this terrific product and best of luck. Your pet’s well-being is of the utmost importance, which is why the ingredients in Nature’s Blend are from high quality, all natural sources. Each ingredient is carefully selected with your dog’s best health in mind. This grain free dog food uses 7 different meat-based ingredients and an array of dog-friendly fruits and vegetables. Cooking pet food at high temperatures depletes it of most of its nutritional value. To avoid that problem, the ingredients in Dr. Marty’s dog food are meticulously freeze-dried while they’re still raw, preserving the food’s beneficial nutrients and delicious flavor that dogs love. One great benefit of freeze-drying Nature’s Blend is that it maintains the ingredients’ natural flavors! With tasty ingredients like turkey, beef, salmon, and duck, as well as tasty fruits and vegetables like sweet potatoes and apples, your dog will never miss out on high-quality taste. Natural preservatives, like the kind in Nature’s Blend, help your dog’s food stay fresher, longer. They are safe for your pet to consume without having any short- or long-term side effects. Artificial preservatives, on the other hand, can have detrimental effects on a dog’s health. Nature’s Blend includes salt and mixed tocopherols, which are both natural preservatives that are safe for your canine friend. Nature’s Blend is a freeze-dried dog food, but with a little bit of water, turns into tasty wet food that satisfies your dog’s appetite. Add as little or much water as your dog likes. And, while Nature’s Blend is not intended to be a dry dog food, if that is what your dog prefers, Nature’s Blend can also be fed dry. Like small dogs, Nature’s Blend isn’t to be underestimated! Don’t let the small packaging deceive you; Nature’s Blend expands after water is added. Whether the food is fed wet or dry, it packs the same nutritional punch and can satisfy your canine companion’s hunger, no matter what their size. 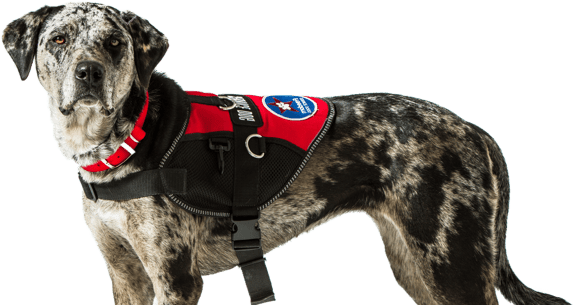 It turns out that a lot of dogs have allergic reactions to the same ingredients, like wheat and corn, which are considered two common dog food allergens. Both of these ingredients are also found in many kinds of dog food. Nature’s Blend was created with these kinds of problems in mind, and doesn’t include either of these common allergens. Worried that your dog has a food allergy? Some indicators of food allergies are hair loss, itchiness, and digestive problems. But take your pal to the vet to know for sure! SPECIAL OFFER BEFORE YOU GO.